God gave them delicacies without satiety. 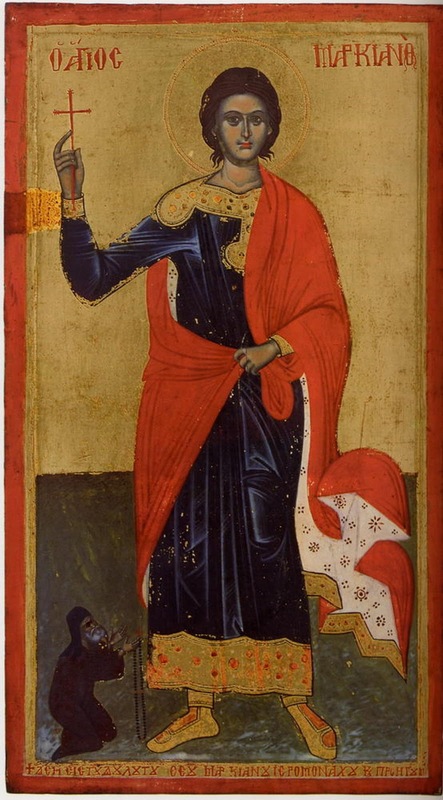 Saints Markianos, Nikandros, Apollonos, Leonidas, Arios, Gorgios, Hyperechios, Seleniada, Irene, and Pambo, were ten martyrs in Egypt, probably in the persecution of Galerius (305-311). Having confessed Christ as the true God, they were placed by a ruler of Alexandria in a sort of closed off area, naked and exposed to the elements. In this way they suffered from extreme hunger, thirst and cold during the winter. Meanwhile, the soldiers who guarded them were eating and drinking within their view by a fire. After suffering like this for many days, while ceaselessly praying to the Lord, they finally delivered their souls into the hands of God, and gained the crown of the contest.